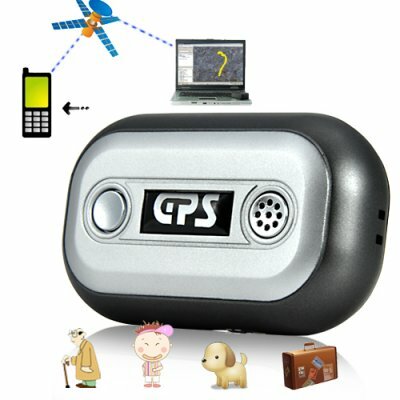 Successfully Added GPS Tracker with SOS Calling Feature (Quadband) to your Shopping Cart. Unleash the power of the global satellite positioning system (GPS) in the palm of your hand. This GPS tracker comes in a compact form factor design for travel ease, has an extremely convenient a two way calling feature, and works as a quadband GSM product on the global GSM frequencies of (850MHz, 900MHz, 1800MHz, 1900MHz), so you can be assured that it will work anywhere on the globe . This GPS tracker that works on all 4 global GSM frequencies which therefore enables you to track any object, person, or even yourself from a remote location using ordinary GSM SMS messages. This small lightweight GPS tracker houses a SIM card and long lasting rechargeable li-ion battery and is small enough to be put in your pocket, bag, or even permanently installed inside your favorite item or vehicle. Send an SMS text message to the Quad band GPS tracker and it will reply with it's current longitude and latitude coordinates, speed, time, date etc, of which you can insert into Google maps on any computer or laptop that is connected to the internet, or even on your iPhone, and search the exact coordinates of the Quadband GPS tracker's location. e.g. Suitable uses of this GSM quadband GPS tracker includes asset protection, plotting routes, freight management, courier services, fleet management keeping track of children as well as keeping track of your husband or wife. This GPS tracker is a very unique product that is sure to do well in your drop shipping e-store or retail shop, secure your sample today and get tracking tomorrow! This Quadband GPS tracker is brought to you at a factory direct wholesale price, straight from the leaders in GPS gadgets, Chinavasion. NOTE: This GSM product is compatible with the global GSM frequencies of of 850MHz, 900MHz, 1800MHz, 1900MHz. Note: This item sends SMS messages though a GSM cellular network. Your SIM card must you install in this product must be a working SIM card (an active account). I have tried everything and I cannot get the GPS Tracker to send me a SMS message, what is wrong? You likely have one of two problems - First, does the SIM card have a balance or is it part of an active account? Make sure the SIM card works. Second, does the SIM card you inserted have a PIN code or security pass code? You cannot use a SIM cards with a security pass code inside the GPS tracker.